Q. 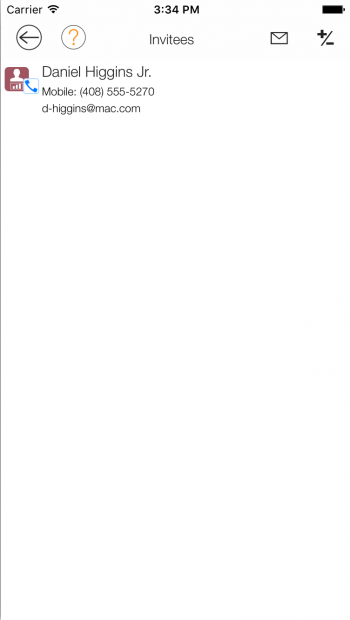 How can I associate contacts with various items in LightArrow? You are here: Home / LifeTopix / Common Questions / Q. 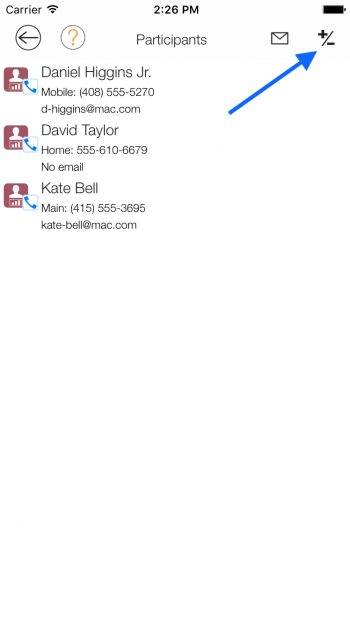 How can I associate contacts with various items in LightArrow? 1. Open a task, and then scroll down until you see the “Owners” tile. Tap the “Owners” tile, and then you’ll see the “Owners” view. 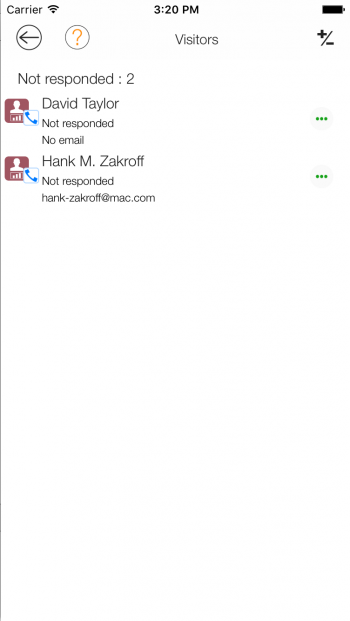 Then from the “Contacts” view tap to select some contacts and then tap the “Save” button. 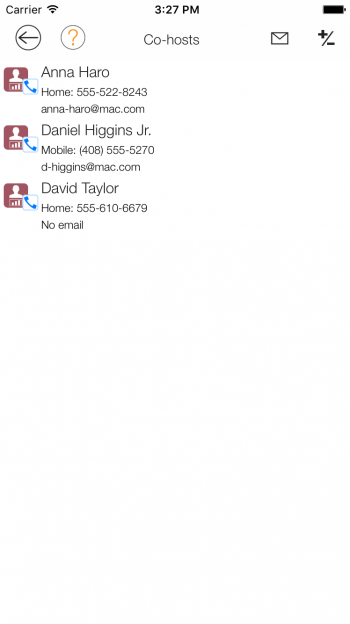 Then in the “Owners” view you’ll see the contacts that were selected. Next, tap the the back button. 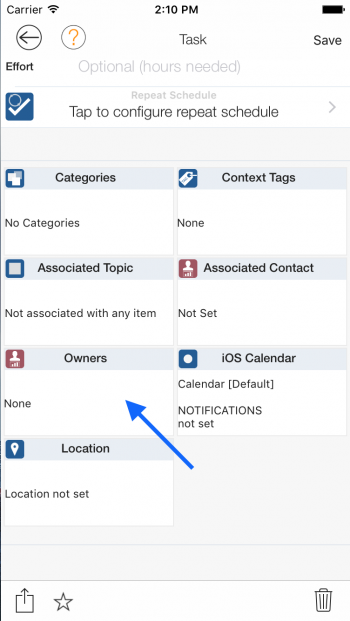 Now on the “Task” view you’ll see the contacts in the “Owners” tile. 2. You can also associate contacts to a project as participants. 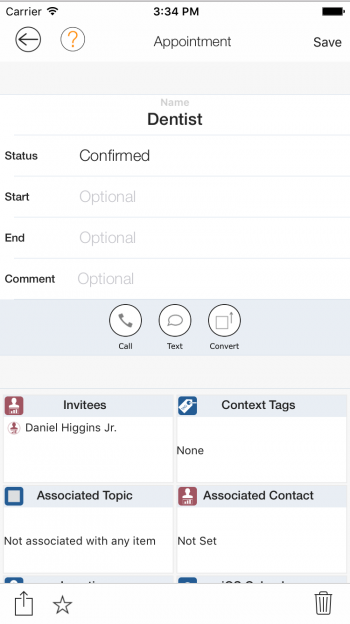 After opening a project tap the “Participants” tile to manage the contacts that are associated with the project. 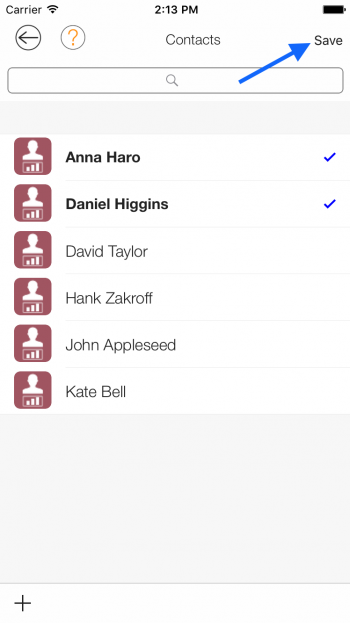 From this view you can add or remove participants by tapping the ‘+/-‘ button. 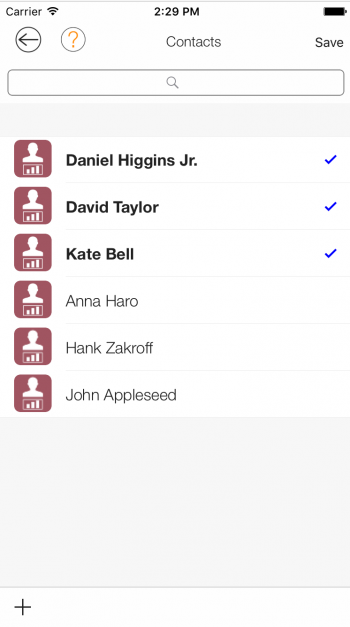 From the “Contacts” view you can add participants by tapping that row and you’ll see a checkmark. 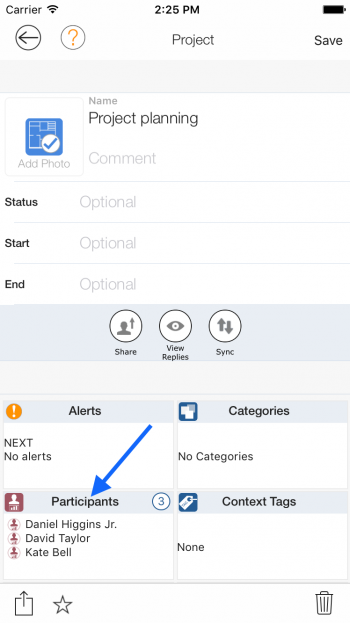 To remove a participate simply tap a row that is checked and it will become unchecked. Then tap the “Save” button when finished. Also, from the “Contacts” view you can add additional contacts if you do not see them in the list by tapping the ‘+’ button in the lower left hand corner. 3. 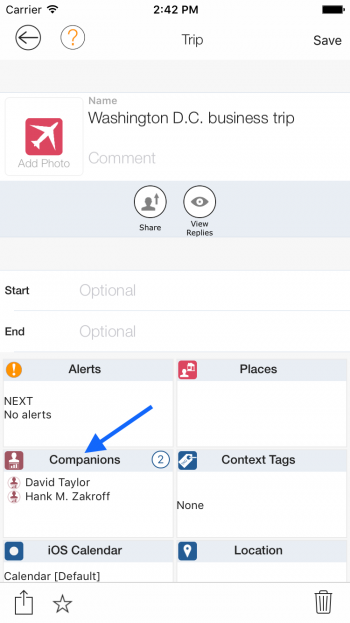 Next, you can add contacts to a trip by adding them as companions. To manage the companions for a trip tap the “Companions” tile. 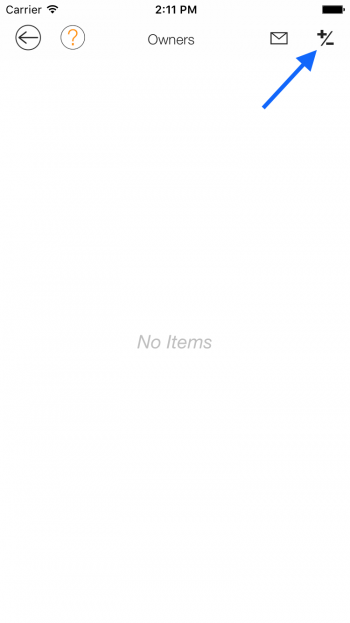 From the “Companions” view if you tap the ‘…’ button you can set the companion to “Not responded”, “Yes”, “No”, or “Maybe”. 4. 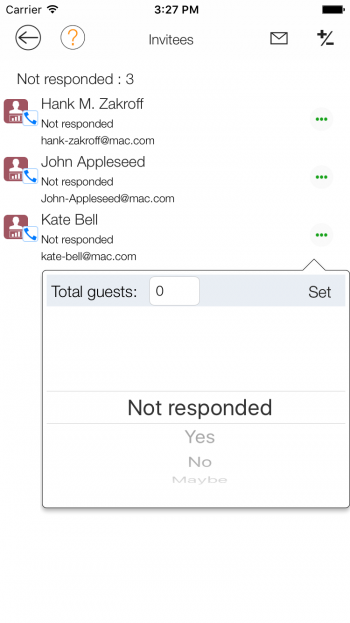 Next, you can add contacts to a visitor by adding them as visitors. 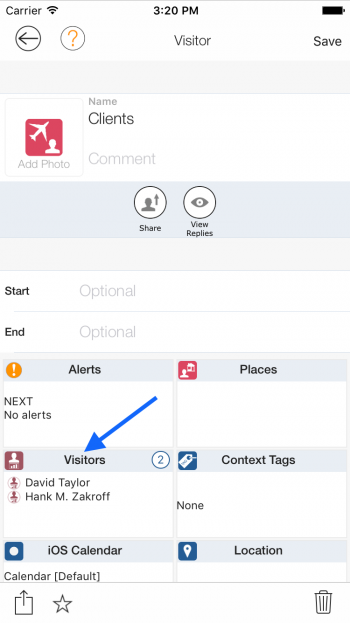 To manage the contact associated with a visitor item tap the “Visitors” tile. From the “Visitors” view if you tap the ‘…’ button you can set the companion to “Not responded”, “Yes”, “No”, or “Maybe”. 5. After opening an attending event you can set a host for the event by tapping the field that’s underneath the name field. 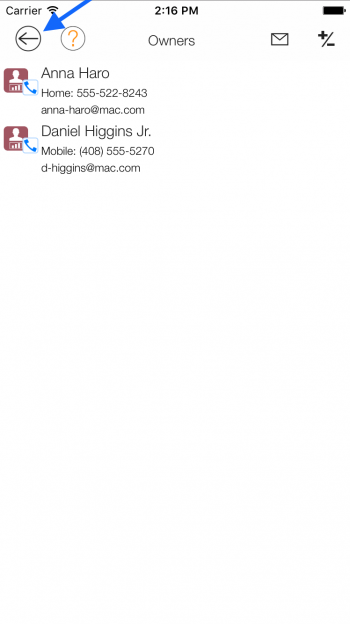 After saving you’ll see that contact for the “Host” field. 6. 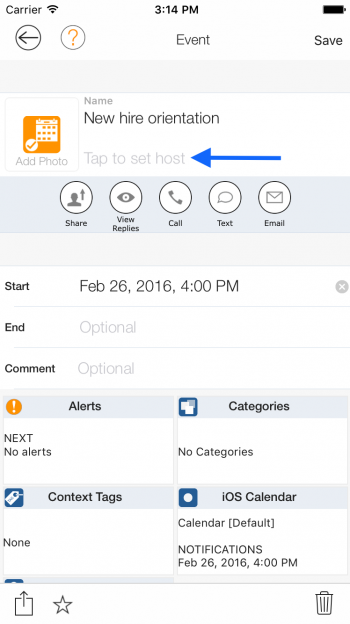 For hosting events you can set co-hosts and invitees. 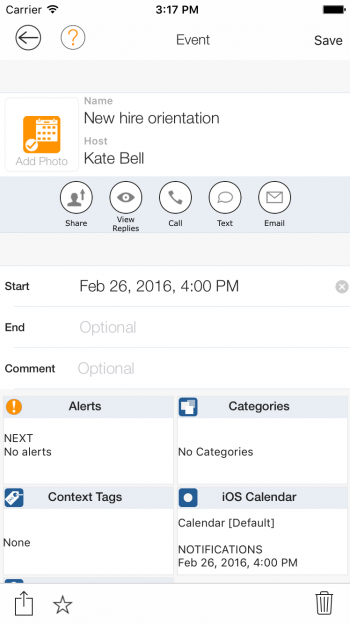 Note: You cannot have the same contact as both a co-host and invitee. The contact can only belong to one of those lists. 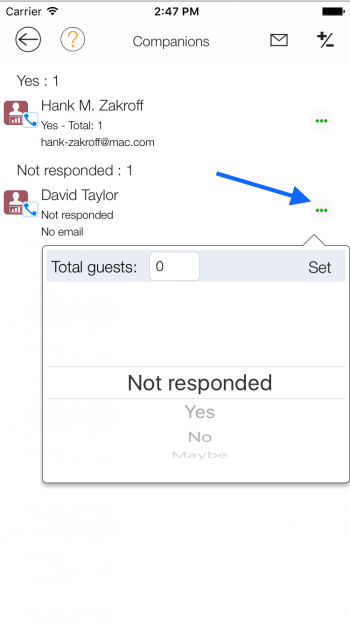 From the “Invitees” view if you tap the ‘…’ button you can set the companion to “Not responded”, “Yes”, “No”, or “Maybe”. 7. 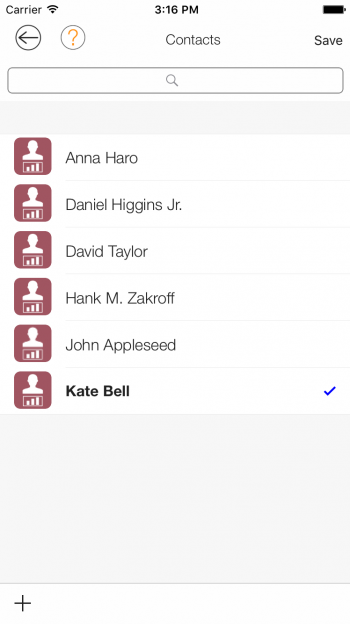 Next, you can also associate contacts to an appointment as invitees. 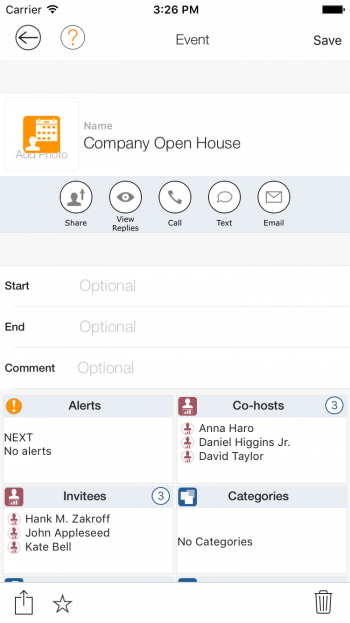 After opening an appointment tap the “Invitees” tile to manage the contacts that are associated with the appointment. 8. 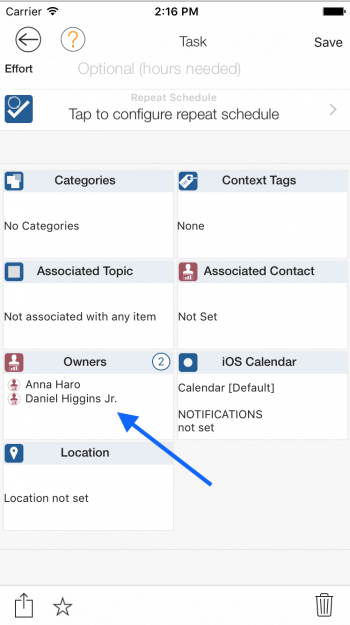 After opening a service provider you can set the “Contact” and “Referred By” tiles by setting a contact for each of those tiles. 9. 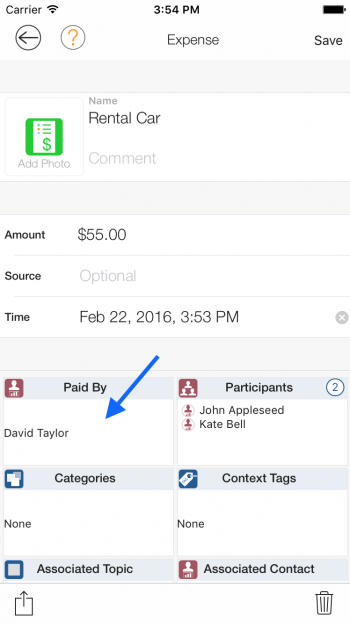 For expenses you can set paid by and participants. 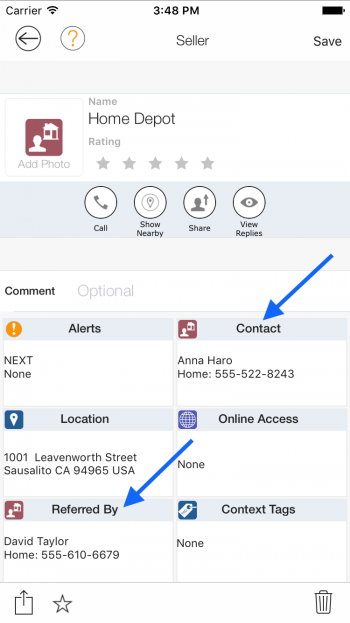 The “Paid By” tile can have only one contact associated. 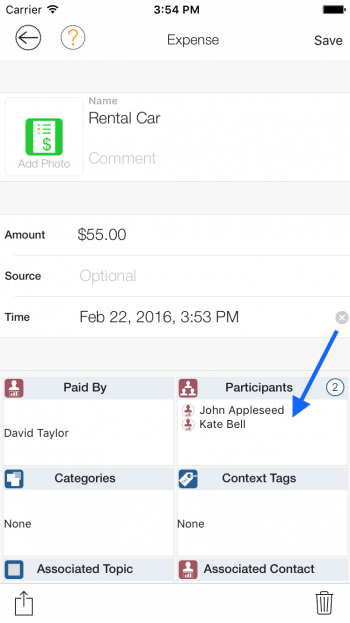 The “Participants” tile can have multiple contacts.